Interestingly, this isn’t a problem everywhere people Tweet. For example, when I (Aliza) Tweet in English, I quickly run into the 140 character limit and have to edit my Tweet down so it fits. Sometimes, I have to remove a word that conveys an important meaning or emotion, or I don’t send my Tweet at all. But when Iku Tweets in Japanese, he doesn’t have the same problem. He finishes sharing his thought and still has room to spare. 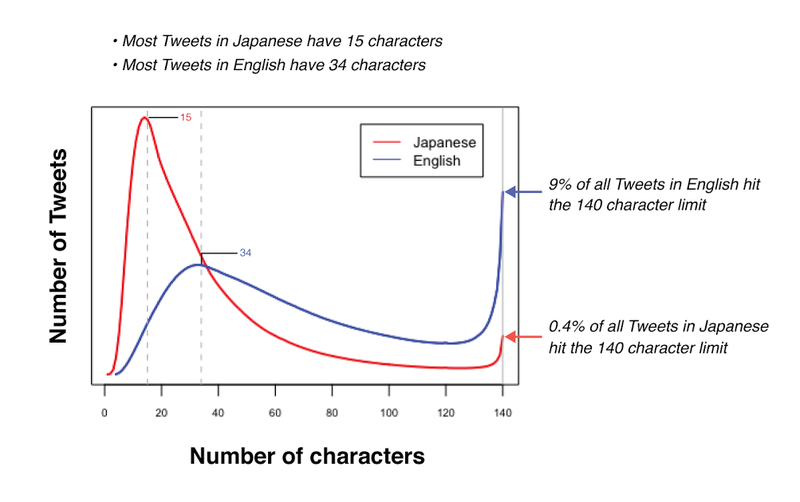 This is because in languages like Japanese, Korean, and Chinese you can convey about double the amount of information in one character as you can in many other languages, like English, Spanish, Portuguese, or French.